Leading Wholesaler of quardbrid video recorder - 16 channel, tribrid video recorder - 4 channel, tribrid video recorder - 8 channel, tribrid video recorder - 16 channel, tribrid video recorder - 32 channel and quardbrid video recorder - 4 channel from Coimbatore. This iV-Pro Model : iV-QD1602H is a 16 Channel 1080p Full HD Quadbrid Video Recorder for medium to large scale projects to deliver high resolution of 1080p Full HD recording videos that supports 720p, 960p and 1080p HD Cameras. It supports dedicated iP-HD Cameras, along with a mixture mode of AHD and iP-HD Cameras. The Quadbrid also features support for other camera formats like CVBS, HDCVI, HDTVI and HDXVI. Its Connectivity includes Full HD HDMI Output, VGA, Cloud Technology, Wi-Fi & 4G, and many more features, along with software support for Computers and Mobile Apps. Easy access from computers and mobile phones with 4G and Wi-Fi. 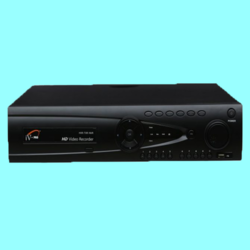 We Are The Leading Manufacturer And Suppliers of this 16 Channel Quardbrid Video Recorder in South India Such As Thiruvallur, Chennai, Kancheepuram, Vellore, Thiruvannamalai, Krishnagiri, Dharamapuri, Villipuram, Cuddalore, Salem, Erode, Namakal, Perambalur, Nilgiris, Coimbatore, Tiruppur, Karur, Tiruchchirapalli, Ariyalur, Nagapattinam, Thanjavur, Thiruvarur, Nagapattinam, Pudukkotai, Dindigul, Theni, Madurai, Sivagangai, Ramanathapuram, Virudunagar, Tirunelveli, Thoothukudi, Kanyakumari, Hosur, Rajapalayam, Puducherry, Kerala. This iV-Pro Model : iV-TY0404H is a 4 Channel 1080N Tribrid Video Recorder for small to medium scale projects to deliver high resolution of 1080N recording videos that supports 720p, 960p and 1080p HD Cameras. It supports dedicated iP-HD Cameras, along with a mixture mode of AHD and iP-HD Cameras. The Tribrid also features support for other camera formats like CVBS, HDCVI & HDTVI. Its Connectivity includes Full HD HDMI Output, VGA, Cloud Technology, Wi-Fi & 4G, and many more features, along with software support for Computers and Mobile Apps. We Are The Leading Manufacturer And Suppliers of this 4 Channel Tribrid Video Recorder in South India Such As Thiruvallur, Chennai, Kancheepuram, Vellore, Thiruvannamalai, Krishnagiri, Dharamapuri, Villipuram, Cuddalore, Salem, Erode, Namakal, Perambalur, Nilgiris, Coimbatore, Tiruppur, Karur, Tiruchchirapalli, Ariyalur, Nagapattinam, Thanjavur, Thiruvarur, Nagapattinam, Pudukkotai, Dindigul, Theni, Madurai, Sivagangai, Ramanathapuram, Virudunagar, Tirunelveli, Thoothukudi, Kanyakumari, Hosur, Rajapalayam, Puducherry, Kerala. 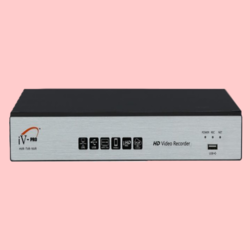 This iV-Pro Model : iV-TY0804H is a 8 Channel 1080N Tribrid Video Recorder for small to medium scale projects to deliver high resolution of 1080N recording videos that supports 720p, 960p and 1080p HD Cameras. It supports dedicated iP-HD Cameras, along with a mixture mode of AHD and iP-HD Cameras. The Tribrid also features support for other camera formats like CVBS, HDCVI & HDTVI. Its Connectivity includes Full HD HDMI Output, VGA, Cloud Technology, Wi-Fi & 4G, and many more features, along with software support for Computers and Mobile Apps. We Are The Leading Manufacturer And Suppliers of this 8 Channel Tribrid Video Recorder in South India Such As Thiruvallur, Chennai, Kancheepuram, Vellore, Thiruvannamalai, Krishnagiri, Dharamapuri, Villipuram, Cuddalore, Salem, Erode, Namakal, Perambalur, Nilgiris, Coimbatore, Tiruppur, Karur, Tiruchchirapalli, Ariyalur, Nagapattinam, Thanjavur, Thiruvarur, Nagapattinam, Pudukkotai, Dindigul, Theni, Madurai, Sivagangai, Ramanathapuram, Virudunagar, Tirunelveli, Thoothukudi, Kanyakumari, Hosur, Rajapalayam, Puducherry, Kerala. This iV-Pro Model : iV-TY1602H is a 16 Channel 1080N Tribrid Video Recorder for medium to high scale projects to deliver high resolution of 1080N recording videos that supports 720p, 960p and 1080p HD Cameras. It supports dedicated iP-HD Cameras, along with a mixture mode of AHD and iP-HD Cameras. The Tribrid also features support for other camera formats like CVBS, HDCVI & HDTVI. Its Connectivity includes Full HD HDMI Output, VGA, Cloud Technology, Wi-Fi & 4G, and many more features, along with software support for Computers and Mobile Apps. 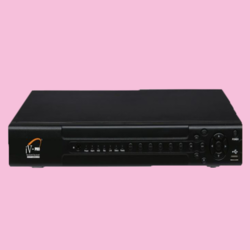 We Are The Leading Manufacturer And Suppliers of this 16 Channel Tribrid Video Recorder in South India Such As Thiruvallur, Chennai, Kancheepuram, Vellore, Thiruvannamalai, Krishnagiri, Dharamapuri, Villipuram, Cuddalore, Salem, Erode, Namakal, Perambalur, Nilgiris, Coimbatore, Tiruppur, Karur, Tiruchchirapalli, Ariyalur, Nagapattinam, Thanjavur, Thiruvarur, Nagapattinam, Pudukkotai, Dindigul, Theni, Madurai, Sivagangai, Ramanathapuram, Virudunagar, Tirunelveli, Thoothukudi, Kanyakumari, Hosur, Rajapalayam, Puducherry, Kerala. This iV-Pro Model : iV-TY3216H is a 32 Channel 1080N Tribrid Video Recorder for medium to high scale projects to deliver high resolution of 1080N recording videos that supports 720p, 960p and 1080p HD Cameras. It supports dedicated iP-HD Cameras, along with a mixture mode of AHD and iP-HD Cameras. The Tribrid also features support for other camera formats like CVBS, HDCVI & HDTVI. Its Connectivity includes Full HD HDMI Output, VGA, Cloud Technology, Wi-Fi & 4G, and many more features, along with software support for Computers and Mobile Apps. Easy access from computers and mobile phones with 4G and Wi-Fi . 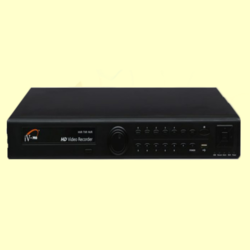 We Are The Leading Manufacturer And Suppliers of this 32 Channel Tribrid Video Recorder in South India Such As Thiruvallur, Chennai, Kancheepuram, Vellore, Thiruvannamalai, Krishnagiri, Dharamapuri, Villipuram, Cuddalore, Salem, Erode, Namakal, Perambalur, Nilgiris, Coimbatore, Tiruppur, Karur, Tiruchchirapalli, Ariyalur, Nagapattinam, Thanjavur, Thiruvarur, Nagapattinam, Pudukkotai, Dindigul, Theni, Madurai, Sivagangai, Ramanathapuram, Virudunagar, Tirunelveli, Thoothukudi, Kanyakumari, Hosur, Rajapalayam, Puducherry, Kerala. This iV-Pro Model : iV-QD0404H is a 4 Channel 1080p Full HD Quadbrid Video Recorder for small to medium scale projects to deliver high resolution of 1080p Full HD recording videos that supports 720p, 960p and 1080p HD Cameras. It supports dedicated iP-HD Cameras, along with a mixture mode of AHD and iP-HD Cameras. The Quadbrid also features support for other camera formats like CVBS, HDCVI, HDTVI and HDXVI. Its Connectivity includes Full HD HDMI Output, VGA, Cloud Technology, Wi-Fi & 4G, and many more features, along with software support for Computers and Mobile Apps. 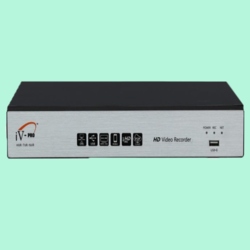 We Are The Leading Manufacturer And Suppliers of this 4 Channel Quardbrid Video Recorder in South India Such As Thiruvallur, Chennai, Kancheepuram, Vellore, Thiruvannamalai, Krishnagiri, Dharamapuri, Villipuram, Cuddalore, Salem, Erode, Namakal, Perambalur, Nilgiris, Coimbatore, Tiruppur, Karur, Tiruchchirapalli, Ariyalur, Nagapattinam, Thanjavur, Thiruvarur, Nagapattinam, Pudukkotai, Dindigul, Theni, Madurai, Sivagangai, Ramanathapuram, Virudunagar, Tirunelveli, Thoothukudi, Kanyakumari, Hosur, Rajapalayam, Puducherry, Kerala. This iV-Pro Model : iV-QD0804H is a 8 Channel 1080p Full HD Quadbrid Video Recorder for small to medium scale projects to deliver high resolution of 1080p Full HD recording videos that supports 720p, 960p and 1080p HD Cameras. It supports dedicated iP-HD Cameras, along with a mixture mode of AHD and iP-HD Cameras. The Quadbrid also features support for other camera formats like CVBS, HDCVI, HDTVI and HDXVI. Its Connectivity includes Full HD HDMI Output, VGA, Cloud Technology, Wi-Fi & 4G, and many more features, along with software support for Computers and Mobile Apps. 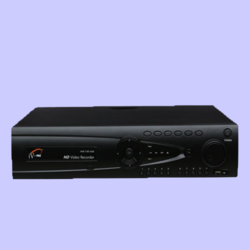 We Are The Leading Manufacturer And Suppliers of this 8 Channel Quardbrid Video Recorder in South India Such As Thiruvallur, Chennai, Kancheepuram, Vellore, Thiruvannamalai, Krishnagiri, Dharamapuri, Villipuram, Cuddalore, Salem, Erode, Namakal, Perambalur, Nilgiris, Coimbatore, Tiruppur, Karur, Tiruchchirapalli, Ariyalur, Nagapattinam, Thanjavur, Thiruvarur, Nagapattinam, Pudukkotai, Dindigul, Theni, Madurai, Sivagangai, Ramanathapuram, Virudunagar, Tirunelveli, Thoothukudi, Kanyakumari, Hosur, Rajapalayam, Puducherry, Kerala. This iV-Pro Model : iV-QD3216H is a 32 Channel 1080p Full HD Quadbrid Video Recorder for medium to large scale projects to deliver high resolution of 1080p Full HD recording videos that supports 720p, 960p and 1080p HD Cameras. It supports dedicated iP-HD Cameras, along with a mixture mode of AHD and iP-HD Cameras. The Quadbrid also features support for other camera formats like CVBS, HDCVI, HDTVI and HDXVI. Its Connectivity includes Full HD HDMI Output, VGA, Cloud Technology, Wi-Fi & 4G, and many more features, along with software support for Computers and Mobile Apps. This iV-Pro Model : iV-XA0404H is a 4 Channel 4MP Ultra HD Hexabrid Video Recorder for small to medium scale projects to deliver high resolution of 4MP Ultra HD recording videos that supports 720p, 960p, 1080p and 4MP HD Cameras. It supports dedicated iP-HD Cameras, along with a mixture mode of AHD and iP-HD Cameras. The Hexabrid also features support for other camera formats like CVBS, HDCVI, HDTVI and HDXVI. Its Connectivity includes Full HD HDMI Output, VGA, Cloud Technology, Wi-Fi & 4G, and many more features, along with software support for Computers and Mobile Apps. We Are The Leading Manufacturer And Suppliers of this 4 Channel Hexabrid Video Recorder in South India Such As Thiruvallur, Chennai, Kancheepuram, Vellore, Thiruvannamalai, Krishnagiri, Dharamapuri, Villipuram, Cuddalore, Salem, Erode, Namakal, Perambalur, Nilgiris, Coimbatore, Tiruppur, Karur, Tiruchchirapalli, Ariyalur, Nagapattinam, Thanjavur, Thiruvarur, Nagapattinam, Pudukkotai, Dindigul, Theni, Madurai, Sivagangai, Ramanathapuram, Virudunagar, Tirunelveli, Thoothukudi, Kanyakumari, Hosur, Rajapalayam, Puducherry, Kerala. HEXABRID VIDEO RECORDER - 8 CHANNEL. This iV-Pro Model : iV-XA0804H is a 8 Channel 4MP Ultra HD Hexabrid Video Recorder for small to medium scale projects to deliver high resolution of 4MP Ultra HD recording videos that supports 720p, 960p, 1080p and 4MP HD Cameras. It supports dedicated iP-HD Cameras, along with a mixture mode of AHD and iP-HD Cameras. The Hexabrid also features support for other camera formats like CVBS, HDCVI, HDTVI and HDXVI. Its Connectivity includes Full HD HDMI Output, VGA, Cloud Technology, Wi-Fi & 4G, and many more features, along with software support for Computers and Mobile Apps. We Are The Leading Manufacturer And Suppliers of this 8 Channel Hexabrid Video Recorder in South India Such As Thiruvallur, Chennai, Kancheepuram, Vellore, Thiruvannamalai, Krishnagiri, Dharamapuri, Villipuram, Cuddalore, Salem, Erode, Namakal, Perambalur, Nilgiris, Coimbatore, Tiruppur, Karur, Tiruchchirapalli, Ariyalur, Nagapattinam, Thanjavur, Thiruvarur, Nagapattinam, Pudukkotai, Dindigul, Theni, Madurai, Sivagangai, Ramanathapuram, Virudunagar, Tirunelveli, Thoothukudi, Kanyakumari, Hosur, Rajapalayam, Puducherry, Kerala. 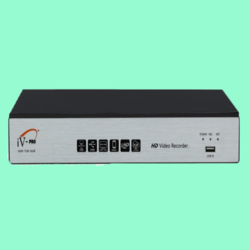 This iV-Pro Model : iV-XA1602H is a 16 Channel 4MP Ultra HD Hexabrid Video Recorder for medium to high scale projects to deliver high resolution of 4MP Ultra HD recording videos that supports 720p, 960p, 1080p and 4MP HD Cameras. It supports dedicated iP-HD Cameras, along with a mixture mode of AHD and iP-HD Cameras. The Hexabrid also features support for other camera formats like CVBS, HDCVI, HDTVI and HDXVI. Its Connectivity includes 4K HD HDMI Output, VGA, Cloud Technology, Wi-Fi & 4G, and many more features, along with software support for Computers and Mobile Apps. We Are The Leading Manufacturer And Suppliers of this 16 Channel Hexabrid Video Recorder in South India Such As Thiruvallur, Chennai, Kancheepuram, Vellore, Thiruvannamalai, Krishnagiri, Dharamapuri, Villipuram, Cuddalore, Salem, Erode, Namakal, Perambalur, Nilgiris, Coimbatore, Tiruppur, Karur, Tiruchchirapalli, Ariyalur, Nagapattinam, Thanjavur, Thiruvarur, Nagapattinam, Pudukkotai, Dindigul, Theni, Madurai, Sivagangai, Ramanathapuram, Virudunagar, Tirunelveli, Thoothukudi, Kanyakumari, Hosur, Rajapalayam, Puducherry, Kerala. MODEL NO : iV-XA3216H - 2 SATA. This iV-Pro Model : iV-XA3216H is a 32 Channel 4MP Ultra HD Hexabrid Video Recorder for medium to high scale projects to deliver high resolution of 4MP Ultra HD recording videos that supports 720p, 960p, 1080p and 4MP HD Cameras. It supports dedicated iP-HD Cameras, along with a mixture mode of AHD and iP-HD Cameras. The Hexabrid also features support for other camera formats like CVBS, HDCVI, HDTVI and HDXVI. Its Connectivity includes 4K HD HDMI Output, VGA, Cloud Technology. We Are The Leading Manufacturer And Suppliers of this 32 Channel Hexabrid Video Recorder in South India Such As Thiruvallur, Chennai, Kancheepuram, Vellore, Thiruvannamalai, Krishnagiri, Dharamapuri, Villipuram, Cuddalore, Salem, Erode, Namakal, Perambalur, Nilgiris, Coimbatore, Tiruppur, Karur, Tiruchchirapalli, Ariyalur, Nagapattinam, Thanjavur, Thiruvarur, Nagapattinam, Pudukkotai, Dindigul, Theni, Madurai, Sivagangai, Ramanathapuram, Virudunagar, Tirunelveli, Thoothukudi, Kanyakumari, Hosur, Rajapalayam, Puducherry, Kerala. This iV-Pro Model : iV-XA3216H4 is a 32 Channel 4MP Ultra HD Hexabrid Video Recorder for medium to high scale projects to deliver high resolution of 4MP Ultra HD recording videos that supports 720p, 960p, 1080p and 4MP HD Cameras. It supports dedicated iP-HD Cameras, along with a mixture mode of AHD and iP-HD Cameras. The Hexabrid also features support for other camera formats like CVBS, HDCVI, HDTVI and HDXVI. Its Connectivity includes 4K HD HDMI Output, VGA, Cloud Technology, Wi-Fi & 4G, and many more features, along with software support for Computers and Mobile Apps. This iV-Pro Model : iV-XA3216H8 is a 32 Channel 4MP Ultra HD Hexabrid Video Recorder for medium to high scale projects to deliver high resolution of 4MP Ultra HD recording videos that supports 720p, 960p, 1080p and 4MP HD Cameras. It supports dedicated iP-HD Cameras, along with a mixture mode of AHD and iP-HD Cameras. The Hexabrid also features support for other camera formats like CVBS, HDCVI, HDTVI and HDXVI. Its Connectivity includes 4K HD HDMI Output, VGA, Cloud Technology, Wi-Fi & 4G, and many more features, along with software support for Computers and Mobile Apps. This iV-Pro Model : iV-N3202H is a 32 Channel Pure 1080p Full HD Network Video Recorder for medium to high scale projects to deliver high resolution up to 5MP Ultra HD recording videos that supports 1080p, 3MP, 4MP and 5MP Ultra HD Cameras. It supports Gigabyte 10/100/1000 Ethernet connection for a smooth video playback Its Connectivity includes 4K HD HDMI Output, VGA, Cloud Technology, Wi-Fi & 4G, and many more features, along with software support for Computers and Mobile Apps. We Are The Leading Manufacturer And Suppliers of this 32 Channel Network Video Recorder in South India Such As Thiruvallur, Chennai, Kancheepuram, Vellore, Thiruvannamalai, Krishnagiri, Dharamapuri, Villipuram, Cuddalore, Salem, Erode, Namakal, Perambalur, Nilgiris, Coimbatore, Tiruppur, Karur, Tiruchchirapalli, Ariyalur, Nagapattinam, Thanjavur, Thiruvarur, Nagapattinam, Pudukkotai, Dindigul, Theni, Madurai, Sivagangai, Ramanathapuram, Virudunagar, Tirunelveli, Thoothukudi, Kanyakumari, Hosur, Rajapalayam, Puducherry, Kerala. 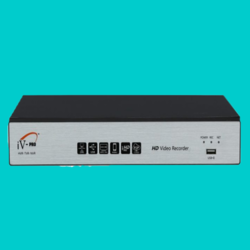 This iV-Pro Model : iV-N1602H-K is a 16 Channel Pure 4MP Ultra HD Network Video Recorder for medium to high scale projects to deliver high resolution up to 8MP Ultra HD recording videos that supports 1080p, 3MP, 4MP and the new 8MP 4K Ultra HD Cameras. It supports Gigabyte 10/100/1000 Ethernet connection for a smooth video playback Its Connectivity includes 4K HD HDMI Output, VGA, Cloud Technology, Wi-Fi & 4G, and many more features, along with software support for Computers and Mobile Apps. 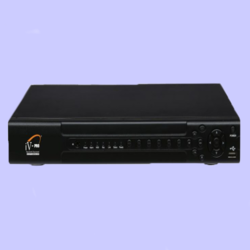 We Are The Leading Manufacturer And Suppliers of this 16 Channel Network Video Recorder in South India Such As Thiruvallur, Chennai, Kancheepuram, Vellore, Thiruvannamalai, Krishnagiri, Dharamapuri, Villipuram, Cuddalore, Salem, Erode, Namakal, Perambalur, Nilgiris, Coimbatore, Tiruppur, Karur, Tiruchchirapalli, Ariyalur, Nagapattinam, Thanjavur, Thiruvarur, Nagapattinam, Pudukkotai, Dindigul, Theni, Madurai, Sivagangai, Ramanathapuram, Virudunagar, Tirunelveli, Thoothukudi, Kanyakumari, Hosur, Rajapalayam, Puducherry, Kerala. This iV-Pro Model : iV-N3204H-K is a 32 Channel Pure 4MP Ultra HD Network Video Recorder for medium to high scale projects to deliver high resolution up to 8MP Ultra HD recording videos that supports 1080p, 3MP, 4MP, 5MP and the new 8MP 4K Ultra HD Cameras. It supports Gigabyte 10/100/1000 Ethernet connection for a smooth video playback Its Connectivity includes 4K HD HDMI Output, VGA, Cloud Technology, Wi-Fi & 4G, and many more features, along with software support for Computers and Mobile Apps. This iV-Pro Model : iV-N3208H-K is a 32 Channel Pure 4MP Ultra HD Network Video Recorder for medium to high scale projects to deliver high resolution up to 8MP Ultra HD recording videos that supports 1080p, 3MP, 4MP, 5MP and the new 8MP 4K Ultra HD Cameras. It supports Gigabyte 10/100/1000 Ethernet connection for a smooth video playback Its Connectivity includes 4K HD HDMI Output, VGA, Cloud Technology, Wi-Fi & 4G, and many more features, along with software support for Computers and Mobile Apps. This iV-Pro Model : iV-N6408H-K is a 64 Channel Pure 1080p Full HD Network Video Recorder for medium to high scale projects to deliver high resolution up to 5MP Ultra HD recording videos that supports 1080p, 3MP, 4MP and 5MP Ultra HD Cameras. It supports Gigabyte 10/100/1000 Ethernet connection for a smooth video playback Its Connectivity includes 4K HD HDMI Output, VGA, Cloud Technology, Wi-Fi & 4G, and many more features, along with software support for Computers and Mobile Apps. 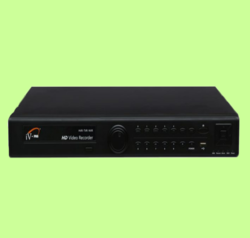 We Are The Leading Manufacturer And Suppliers of this 64 Channel Network Video Recorder in South India Such As Thiruvallur, Chennai, Kancheepuram, Vellore, Thiruvannamalai, Krishnagiri, Dharamapuri, Villipuram, Cuddalore, Salem, Erode, Namakal, Perambalur, Nilgiris, Coimbatore, Tiruppur, Karur, Tiruchchirapalli, Ariyalur, Nagapattinam, Thanjavur, Thiruvarur, Nagapattinam, Pudukkotai, Dindigul, Theni, Madurai, Sivagangai, Ramanathapuram, Virudunagar, Tirunelveli, Thoothukudi, Kanyakumari, Hosur, Rajapalayam, Puducherry, Kerala.